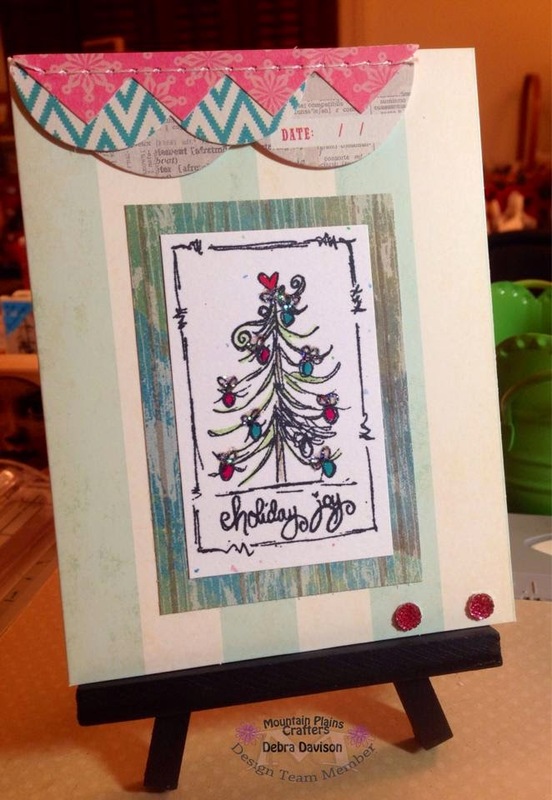 Every Friday, Unity Stamp Company invites everyone to create something using their stamps and post it on their blog with a link to the crafter's blog as well.. I got started on some early Christmas cards using the stamp that began my addiction to their Stamp of the Month - Holiday Joy Christmas Tree.. So, this is my 1st Friends with Flair card...Check out everyone's FWF for some amazing inspiration this week.. They are already stitched borders by Crate Paper !! I love them too .....Thank you so much for visiting my blog !! Your card is so pretty! I love that stamp! Thank you so much.. Hope you come back again !! You're edge treatment on the top is so cool! The border is by Crate Paper and already stitched ... How cool is that !! Terrific card! Love the little tree, of course, and also your layered banners at the top. I am in love with those borders too,,,,, Already stitched by Crate Paper.... And the tree was so much fun to stamp and color !! Thank you for stopping by my blog !! Welcome to FWF nice card. Regards from Puerto Rico. Very pretty. I like the scallops on the top. Super sweet card! You really showcased that stamp. What a pretty card, love the design!